We recently celebrated my daughter's seventh birthday (party photos coming soon!). But it was around that time that I realized that I had never posted photos of her sixth birthday. (D'oh.) But, really, the reason is simple (and stupid): The pictures were just not good. So every time I went to work on the post, I became annoyed. Unlike birthday parties past, we didn't hire a professional photographer--something I regretted immediately upon looking at the pictures--so I just kept putting the post off and putting it off. And then suddenly she was seven, and I hadn't documented my daughter's birthday simply because every photo wasn't Pinterest Perfect. If you're confused what kind of party this is by looking at the photos, you'd be forgiven for that. My daughter went back and forth between two party ideas, and in the end, announced she wanted both. So we did a mash-up of the two: Behold our "Paris and Disney Descendants Party." I'd venture to say we may be the first and only ones to do this combo. I went with the red, white, and blue version of Paris (versus the pink macarons-and-poodles thing that you see a lot), which seemed to fit in better with the Disney stuff. 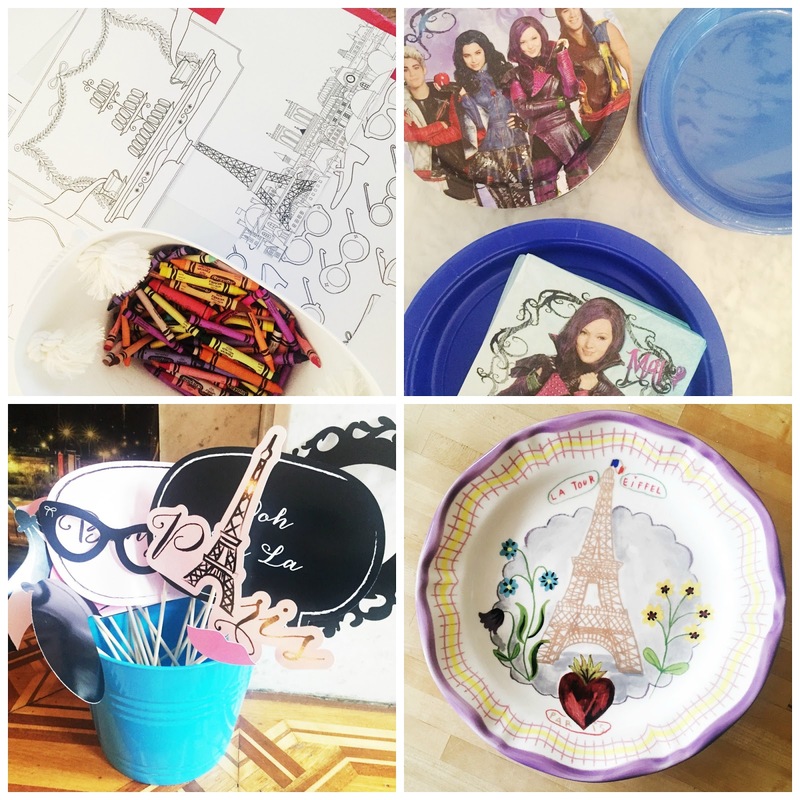 I ordered instant downloads of Paris and Descendants-themed art off Etsy, then printed them out for wall decor. 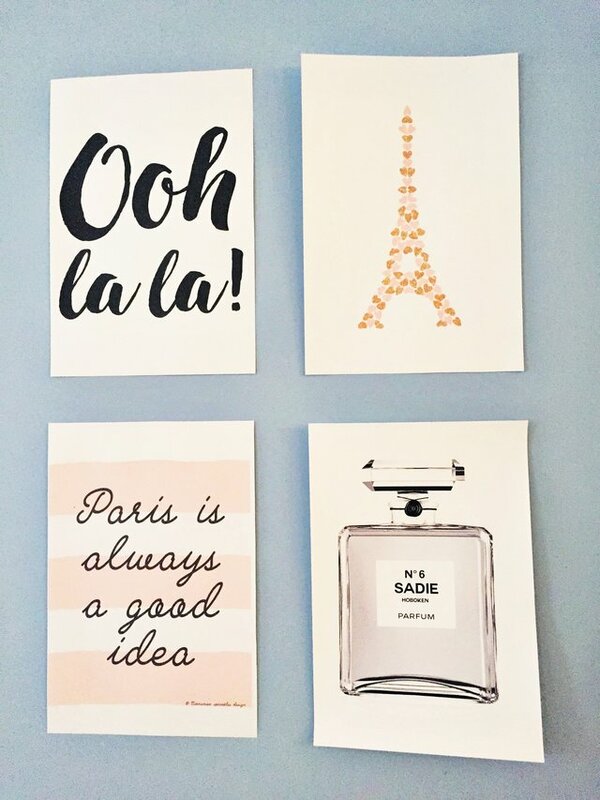 (I'm still planning to re-use the Paris prints in a gallery wall for her room, but considering it took me a year to do this blog post, I'll probably be doing the gallery-wall blog post--and, okay, the actual gallery wall--around the time she leaves for college.). 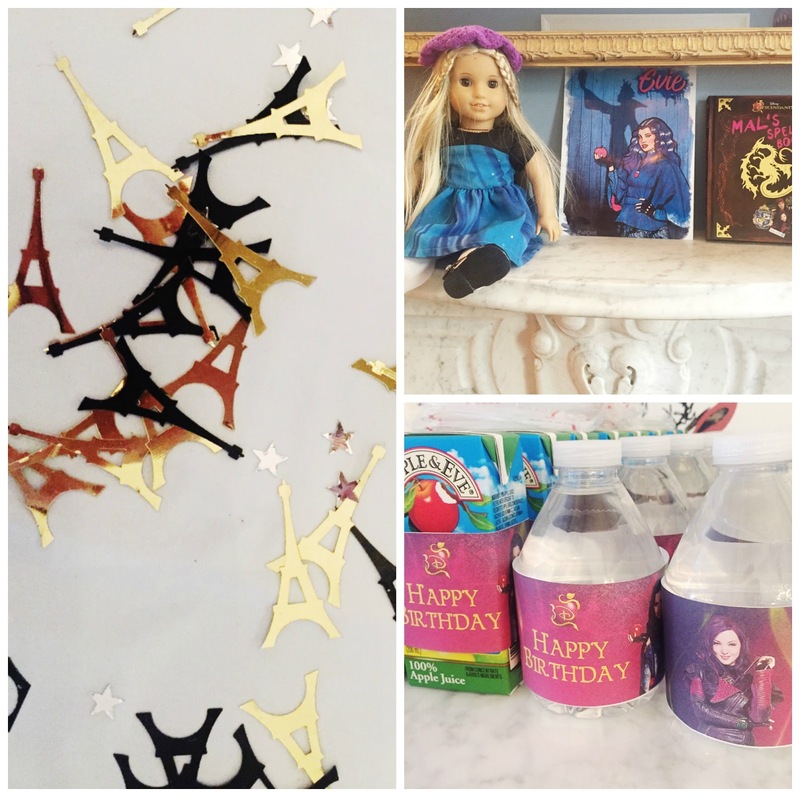 I scattered a few cheapie Eiffel towers all around, wrapped water bottles and juice boxes in Decendants printables from Etsy, added a few red, white, and blue balloons, and propped up Paris- and Descendants-themed books that we already owned as additional decor. I covered the tables in French flag tablecloths and scattered Eiffel Tower confetti on top. The birthday girl's outfit was a replica of a Disney Descendants "Evie" costume (sewed by my mom! ), and her American Girl doll was dressed in a matching version. A giant Eiffel Tower scene on the wall doubled as a photo backdrop. And my mom made the cake! We topped it with a mini metal Eiffel tower and some super cheap plastic Descendants rings. Done and done. The favors were my favorite part! I made little baggies with a macaron pen, a macaron lip balm, an Eiffel Tower crayon, Paris tattoos, a Descendants ring, and an Eiffel Tower sugar cookie (again, made by mom!). Tied each bag up with red, white, and blue ribbon, and voila! All in all, despite the lazy planning, my daughter and all of her guests had a great time. And, really, what could be more magnifique than that? 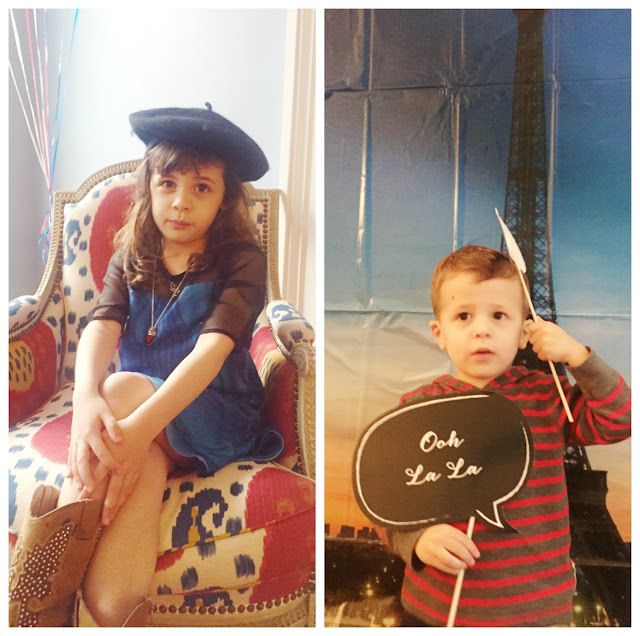 We just got back from Paris so I'm swooning over all the Paris decor! 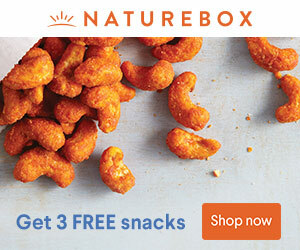 Amazon Prime is the saving grace for Moms everywhere! Great job! Ha! I love the theme mash-up. And those favor bags are the best. I want a macaron pen and lip balm! Super cute. And I love the picture of your daughter right before blowing out the candles! This is so cute! I love that you rolled with the dual theme! Very cute ideas. This theme actually came together really well! I love the goodie bags! So much fun! Good job mama! Such cute ideas. My daughter would totally choose the same exact themes! She is obsessed with Paris and Descendants! I think they meshed well but what really matters is that her and the guests had a great time! Omg what a cute party!!!! My daughter loves everything to do with Paris too!! !